One of the upsides to volunteering at Carnegie Hall is that you get access to the volunteers’ lounge, which has not only things like free coffee and couches and a bathroom and all that, but there is also a TV feed from the stage, including sound, so you can watch and listen to whatever is going on in the main auditorium. This is pretty cool – if you don’t have a ticket to something, you can watch it from there, and although the picture isn’t great, it’s better than nothing. On Friday, I spent a worthwhile 20 minutes or so watching and listening to Yo-Yo Ma and Emanuel Ax rehearse for their recital later that evening. This was pretty neat. I wasn’t able to go to the performance because I had a ticket for another show at the same time, but I felt like I got a little snippet of it. This was the best concert I have been to in months – exciting, beautifully rendered, balls-to-the-wall Lieder singing from the very first song. I had never heard Mattila live before, and I now wish I had more opportunities to do so – her voice is stunning. It’s bigger than I expected from recordings; part of me wished I had been able to sit closer to as to see more of her acting up close (I was in the back row of the balcony) but I think that aurally back center of the hall was perfect. And it was so nice to go to a concert that does not consist of songs I have heard a thousand times before! Familiar material, but not too much so. The first set was Brahms’s Ziguenerlieder (Gypsy Songs). 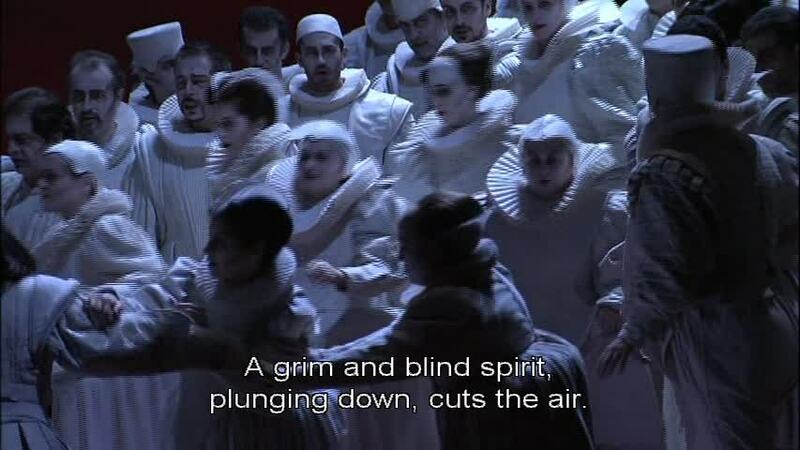 Mattila threw herself into these both vocally and physically; I realized when I opened my eyes somewhere around ‘Wißt ihr, wann mein Kindchen” that by not watching I was missing out. I have heard Wagner’s Wesendonck Lieder a few times before, but I never listened to them with the same attention as I did last night. Among the high points here was the final song, “Träume,” (“Dreams”) which was spellbinding, from the moment the vocal line steps quietly out of the piano part until it sinks away again at the final lines of the text. Afterwards, I kept trying to put into words the feeling of when a song performance really clicks. I have a sense of being able to follow what is being expressed, even if it is in a language I don’t know, or don’t know well enough to understand every word; I also get an impression of the song, or at least the vocal line, holding itself together – there’s a feeling of wholeness. Whatever it was, and however you want to describe it, there was plenty of it in this concert. After intermission, Mattila sang Berg’s Four Songs, Op. 2. The more I hear live performances of Berg’s songs, the more I like them. Here, with the first one, “Dem Schmerz sein Recht,” every note seemed to fall perfectly into place (I have in my notes “this just gets better and better”); the entire set was over far too quickly, and when we’d moved on to Strauss I wished for a moment that we could stay in Berg world for a while more. Mattila’s stage presence is lively, funny and extremely energetic, and she certainly knows how to butter up her audience. She introduced her encore, a jazz (I think?) song called “Eine kleine Sehnsucht” with the observation that she had learned a new English word recently, “yearning,” and that this song perfectly expressed her yearning to come to New York again – “but in German, of course.” She delivered the song with the sort of style and sparkle that in retrospect I think Renée Fleming was going for in her similarly jazzy encore the other night, but didn’t (by comparison) quite nail. Mattila nailed it. I spent much of the subway ride home last night trying to figure out a version of recital encore bingo. The center free space would be “you didn’t catch what it was”; “Morgen” would be on it, as would “Danny Boy,” which I have now heard a fairly alarming three or four times in the space of about five months. Renée Fleming, if you are curious, sang “Danny Boy” as one of three encores, but did not venture “Morgen.” I was kind of relieved, even though the other two – “Shall we dance” (I think that’s what it’s called, anyway) and “O mio babbino caro” were not such material as normally makes me fall off my chair with excitement. I stepped out of my usual rut last night, in the sense that instead of German art songs, I went to a recital of (mostly) Russian art songs by baritone Dmitri Hvorostovsky. I am pleased to report that I can now reliably repeat his last name, because I took care to look at the program so as not to be caught out on such an elementary item – earlier, even having heard him once at the Met before, I would have been able to say it started with H, ended with -sky and that there was Russian in the middle, but that would have been about the limit. So. Hvorostovsky. This recital is so very, very good that you just sit there stunned and then have to pick yourself up off the floor, regroup and sit there stunned for a little while longer. I heard the live version of this concert at Carnegie Hall last spring; this CD was recorded a few weeks later at Wigmore Hall, and I think the Londoners got the better performance, because again, while what I heard was good, this was utterly amazing. Every note of this performance is alive. 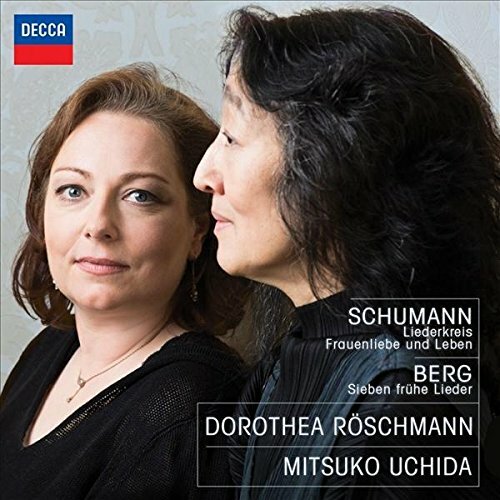 Röschmann and Uchida perform three sets of songs, Schumann’s Op. 39 Liederkreis, Berg’s Seven Early Songs, and Schumann’s Frauenliebe und Leben. Uchida’s piano playing reveals that the piano part in these songs is not just “accompaniment” but rather a second voice in the piece. She brings out details that I had not registered before – the heartbeat pulse of the piano part in “Intermezzo” in the Leiderkreis, the way the piano lines wrap up the story of witch and wanderer in “Waldesgespräch”, the rushing of the little brook in “In der Fremde” or the simple glow of happiness in “Frühlingsnacht.” I was just listening to bits of the recital again as I write this (sometimes I can figure out what I was talking about in my original chickenscratch notes; other times – as is common with important historical documents – the notes are written in a left-handed scrawl so impenetrably awful that I have to go back and re-create the moment in order to interpret the record) and a second listen does nothing but confirm Uchida’s power to make the piano part speak. Please please please please please come and give a recital in New York. This recital almost – almost – brought me around to Schumann’s Frauenliebe und -Leben. Only to the point where I will listen to this cycle if 1) Dorothea Röschmann is singing them 2) live. I realize that this is a fairly specific set of conditions, but keep in mind that it’s a fairly irritating set of songs. That said, my favorite bits of that cycle have not changed, e.g. the ache of the “wie bald, ach wie bald” line in “In der Fremde,” or the last lines of “Waldesgesprach” where the witch reveals to the traveller that he is in the woods for the duration, or – speaking of low notes – the last stanza of “Zwielicht,” especially the “hüte dich, sei wach und munter!” line. In “Die stille” I was reminded again of how she can turn a little song into a miniature opera. I had heard the Alban Berg songs before, but I never really absorbed them. Between Röschmann and Uchida I had a sense this time of understanding much better how they work – “Shilflied” and “Die Nachtigall” were particularly beautiful (I have “I get it!” written in the margin of my notes). Finally, that other set of Schumann songs. First – a point that emerged with bell-like clarity in “seit ich ihn gesehen” – it’s hard not to like something thing that is sung so beautifully. But what did it for me was something characteristic of Röschmann’s interpretive style. Her performances always come with great force of feeling, and what she did in “er, der herrlichste von allen,” for example, was to take the youthful innocence of the character, the force of the young woman’s love and desire (e.g. in the line “holde Lippen, klares Auge”) and present them so honestly that my resistence to the treacly text was just – knife edge, here – overcome. The same is true of the deep earnestness of the protagonist in “du Ring an meinem Finger.” Throughout the cycle, we’re given the music and text as simply: this is how this young woman feels. And because she (Röschmann) is so in character, it works. Apparently the trick of this cycle is to take it at its word and go with it. And the end of the last song, when the Magic Husband has died – those last lines were quiet, intimate and charged with grief. Röschmann and Uchida did two encores, Schubert’s setting of “Nur wer die Sennsucht kennt” and Wolf’s “Kennst du das Land.” I loved Uchida’s playing in the second in particular – especially in the wave of sound before “kennst du es wohl?” and the drawing back afterward. I came out of this recital feeling very satisfied. I think I may be experiencing with Röschmann’s song recitals what I have been experiencing with Joyce DiDonato’s opera performances: one is chasing the dragon to some exent, since it’s never going to be quite like the first time, but it’s always worth it. I was listening to Frau R’s Portraits CD this afternoon. It made me think of the first recital recording of hers I heard – by the end, the intensity of it left me with a pleasant feeling of exhaustion. This recording has the same quality; you get to the end with an awareness of the distance you traveled between the Schubert songs and the Wolf and Strauss. Also, those few bars in “Gretchen am Spinnrade” at about 1.30 (“sein hoher Gang . . .”) where she and Martineau draw out the tempo just a little with the growing drama in the text are one of the best moments in this. I think my colleagues can hear my music through the office walls – I know I can hear theirs sometimes – so my colleague who likes indie rock and alt-country was subjected to about ten minutes of Gretchen on a loop, for which I absolutely refuse to apologize. And thanks to my mom, a massive box of Haydn string quartets turned up on my doorstep yesterday, along with a toy for Finn. So Finn chewed on his new ball and I listened to Haydn, which for all practical purposes I can do indefinitely; this is probably a good thing, because Haydn wrote 19 CDs worth of string quartets and I haven’t been in the mood for sitting down and listening to much opera lately. This is indicated by the fact that I watched the Decker production of Verdi’s Otello last weekend, and my sole critical reaction was that it seems that Venice was populated primarily by Lord and Lady Whiteadder. Hearing this recording was a little anti-climactic, in that with the exception of Schumann’s Op. 135 Mary Queen of Scots songs, I already had a sense of how Röschmann interprets this material. The recital moves forward through time, beginning with Schubert songs, then the Schumann, and Strauss and Wolf at the end. I was struck by the same things that I have been in the past with her performances – the way the mood shifts between sets of songs, as well as within songs themselves, and how every phrase has an interpretive role to play. Mary Stuart has a different quality of character than Gretchen or Mignon; and Röschmann gives the Strauss songs, especially “Die Nacht,” a kind of shimmering quality that is distinct from the other selections. I also found myself appreciating Malcolm Martineau’s piano playing, especially in Strauss’s “Schlechtes Wetter” and Schubert’s “Gretchen am Spinnrade,” where he does those repeating patterns in a more prickly sort of way than I often hear; throughout that song, his playing gives me that feeling of the piano part conversing with the vocal line: or maybe not conversing, exactly, but articulating parts of Gretchen’s character and what she is thinking that aren’t in the vocal part alone. After I listened to this, I thought about the first recording of Röschmann’s I encountered, the Handel Nine German Arias one, and how at the time since I was expecting a more “early music” sound with less vibrato, I didn’t like it – but I realized years later that despite not having a reaction of immediate and overwhelming enthusiasm, I had unwittingly managed basically to memorize the thing, I had listened to it that often. Her voice has changed since then – high notes take more effort, and her intonation can be iffy up there (e.g. in live versions of “Schlechtes Wetter,” though not on this recording as far as I can tell) and I think the sound doesn’t have quite the same gloss as it did ten years ago, but that said, I can and do listen to her sing pretty much anything over and over. Not just the sound of her voice itself (she can still lay out those ringing, bell-like high notes, like in “Die Nacht” when she feels like it; and as I remember feeling when I heard her as the Countess that one time in L.A., there is a quality to the voice in general that just gets me every time) but all the little details of the interpretation too. I said once after hearing “Der König in Thule” in a recital that I wished I could ask her to do it again, because I was fairly sure there were bits of detail that I had missed – and hey, here it is! to repeat and absorb at leisure. If I was in the business of making requests, I would ask her to do a CD just of Hugo Wolf songs – just for fun, you know? In my case, watching Joyce DiDonato’s recent Carnegie Hall recital on medici.tv. I really like this live broadcast/archive thing that Carnegie Hall has started doing – it’s free to watch, for one thing (yay!) and it’s a bit of concert stress insurance: if they do this for the concerts I really reallycare about, I know that if something weird happens and I don’t make it to New York, I can still hear them. There was a mild technical problem with the audio/video synch when I was watching this. The video was a few seconds ahead for most of the second half. Not a big deal, but mildly irritating (I was watching it on my iPad, which may or may not have made a difference). No subtitles either, though the website has a list of the pieces and may or may not have the texts – I didn’t check, because I found I was interested enough in the music that I didn’t need to worry about the words I didn’t catch. 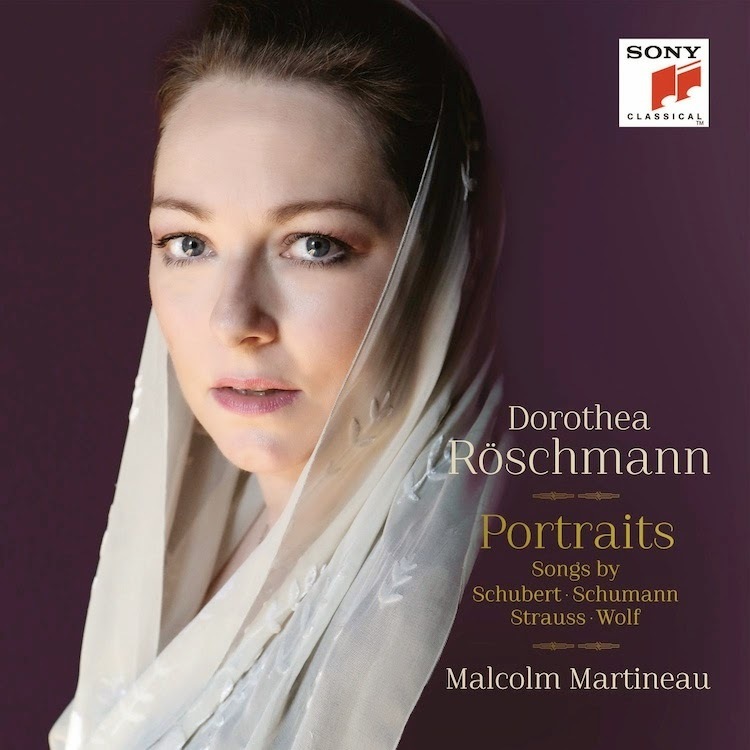 Some of this material I had heard many times before, like the willow song from Rossini’s version of Othello, and several of the pieces are on a CD I have of a live recording of DiDonato giving a similar recital in London a few years ago. I will also agree with the New York times critic who notes that DiDonato’s singing is far more interesting than what she says when she pauses to talk about the music. And what is it about Fauré songs? The past two or three reviews I have read of mezzos and sopranos who are not French singing Fauré have noted that the singer’s French diction is iffy. Is French really so much more difficult than English or German or Italian to get right? Perhaps the French have tricked us into thinking so. Certainly I never hear anyone say “his German is very . . . French” the way people say “her French is very . . . English.” Or maybe the “his/her French diction is bad” is a criticism that one can always make because no one is going to go out on a limb and defend the French of a non-French speaker. Or perhaps it is really the case that all of my favorite singers (except Natalie Dessay and Patricia Petibon for obvious reasons) are bad at French. Fair enough, I suppose. I can live with that. I am aware that this blog has a tendency to devolve into fits of Röschmann worship at fairly predictable intervals. Here is another instance of it: Frau R singing some French material she doesn’t often perform, via BBC3, followed by more familiar Strauss, Liszt and Wolf, and a Schubert encore. I wish she sang Fauré more often – I like Strauss and Wolf and all that, but I enjoy hearing her sing things I’m less familiar with. Also, did you know that Fauré once played his song “Le secret” to Henri Duparc, and Duparc was so impressed with it that he shouted “You savage!” and punched Fauré in the face? I am not making this up; it’s in the BBC intro to the first set. This was Dessay’s New York recital debut, which I didn’t quite believe when I read it in the program. However, the program is probably to be trusted as far as that goes. Surprising, though, isn’t it? Especially given how much people here love her – I got into a very animated bathroom line conversation with one woman about her; this woman mentioned that Dessay had the option to become an actress and chose opera instead. I can believe it. You know Mitsuko Uchida’s new Schumann CD, the one that has the super bonus extra secret song moment at the end? I was wondering why Uchida and Röschmann picked “Im Herbste” in particular. Listening to the recording again, I realized that the theme from the song also appears in the second movement of the Piano Sonata No. 2, which is also on the recording. This is probably in the booklet notes somewhere, but I didn’t read them. Listening right now to iTunes samples of Gerald Finley singing Schumann’s Op. 39 Liederkreis. I’m so used to the soprano version (well, one soprano’s version in particular) that this is seriously blowing my mind. Purchase of complete album probably inevitable – another day, another $10 down the Liederhole. If you haven’t already, run, don’t walk . . .
Over to Ö1 radio and listen to this recital from Miah Persson at the Schubertiade in Schwarzenberg. It’s lovely. I listened to it this afternoon while taking apart the p-trap underneath my bathroom sink to remove some nasty gunk, and the quality of the performance (Persson’s singing peformance, not my amateur plumbing performance, though as those things go mine wasn’t bad) was such that I didn’t even mind. Because whose Ruh’ is not a little bit hin sometimes? Here is Anja Harteros singing Schubert’s “Gretchen am Spinnrade.” This interpretation sounds unusually (and not unpleasantly) spacious to me, probably because the version of this song that I first absorbed was much more of an “anguished Gretchen! anguished!” sort of vibe.